Grootte van deze voorvertoning: 490 × 599 pixels. Andere resoluties: 196 × 240 pixels | 393 × 480 pixels | 491 × 600 pixels | 628 × 768 pixels | 838 × 1.024 pixels | 4.517 × 5.522 pixels. Datum Copyrighted 1947, copyright not renewed. 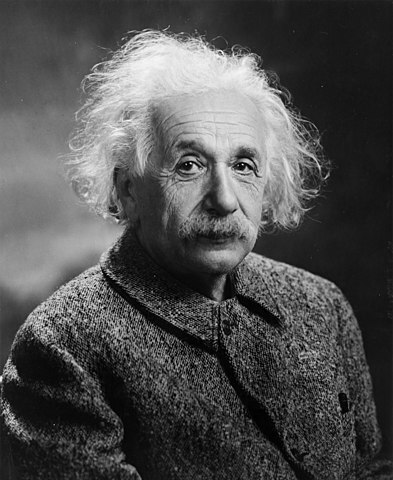 Einstein's estate may still claim copyright on this image, but any such claim would be considered illegitimate by the Library of Congress. No known restrictions. Auteur Photograph by Oren Jack Turner, Princeton, N.J.
26 aug 2007 00:19 924 × 1.203 (441 kB) Dantadd full res.